Adobe has released an update to Lightroom, Version 2015.2 and 6.2. Initially, Adobe had some issues with the first release but apparently have worked out the bugs. Go to Lightroom > Preferences. Go here to read more about the issues on Adobe's website. Otherwise you can download the updates here for Mac and Windows version. In addition to Import, we’ve revamped the Import from Photoshop Elements experience. Now you can migrate the images from your Photoshop Elements catalog into Lightroom easily. To do so, click on the Photoshop Elements icon in the “Add Photos” screen (step 1 from above). Select the Elements catalog and click the Import button. Lightroom will handle the rest for you automatically. Total color control. Refine the individual colors in your photos with the new Color / B&W adjustment tool. Just the right tone. Precisely control the tone of your photo with the new Tone Curve adjustment tool. Stand out. Bring out the best in your photos with adjustable vignettes. Your photo at its best. Crop the perfect photo with a redesigned experience that enables you to quickly adjust, align and auto-straighten. When migrating from Photoshop Elements, Lightroom included face regions which were previously either rejected or deleted in Elements. The Eye dropper won’t sample color from image. Please note that this occurred when GPU enabled on Windows only. The color matching camera profiles for the Olympus Style 1 and Stylus 1S disappeared after installing the Olympus 2.0 firmware upgrade. JPGs exported from Lightroom CC can be incompatible with some other applications due to a non standard header. Map, Book, publish, sync are not working for Creative Cloud Enterprise customers on Mac OSX 10.10. The Flickr Publish Service includes people keywords when it shouldn’t. All exported JPEGs in Slideshows have the same slide text. Images rendered as swapped blocks within the Slideshow module. Please note that this occurred only on Windows machines with AMD graphics cards. 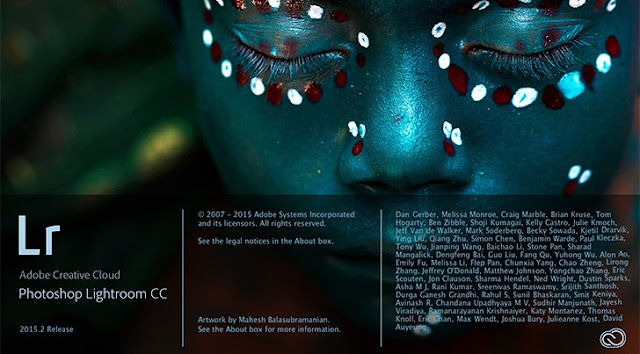 Lightroom CC Slideshow Module takes over selected display monitor until LR is closed. Please note that this occurred only on Windows machines with AMD graphics cards.